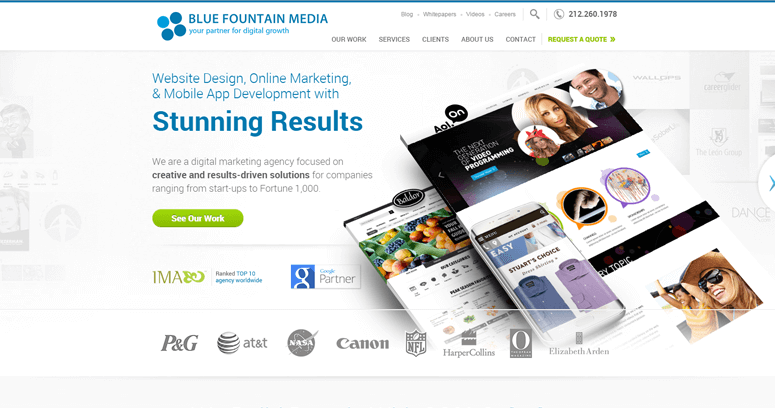 With a prime office location on Madison Avenue in Manhattan, Blue Fountain Media is a web design firm that lives up to the highest standards of excellence established by NYC's multimedia industry. Strategy and consulting services are offered to clients seeking to improve their presence on a dynamic world wide web. This firm applies the latest tools to promote websites on social media and other outlets that are highly visible on search engines like Google, Bing and Yahoo!. 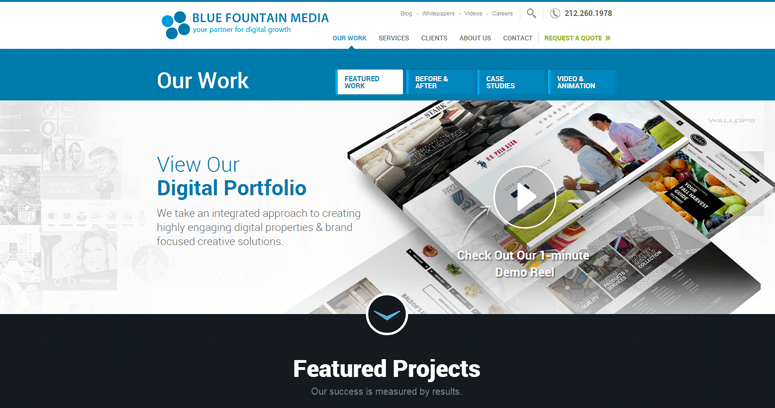 Creative design defines the ability of Blue Fountain Media, which employs a diverse team of specialists in marketing, graphic arts, programming and other relevant fields. Creativity is best seen by the custom coding and front-end layouts that are created by the talented team members at this NYC-based company. There's also a deep understanding of responsive development that focuses on cross-platform compatibility. 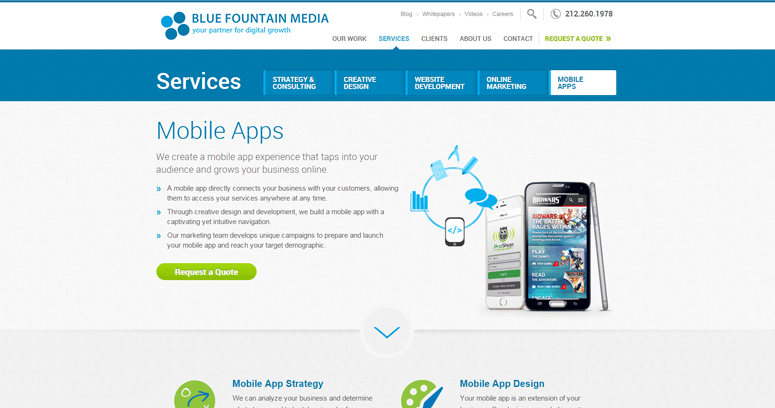 Apple and Android devices are the primary focus of mobile-friendly website design.